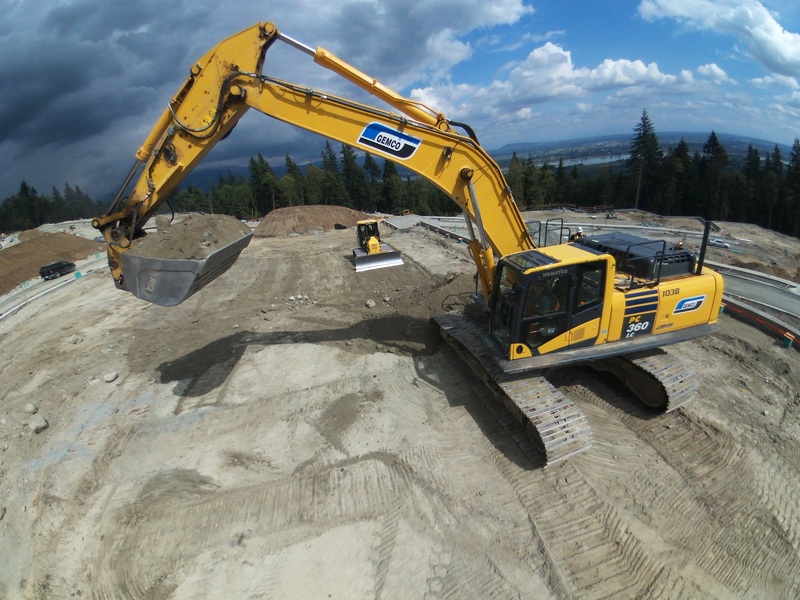 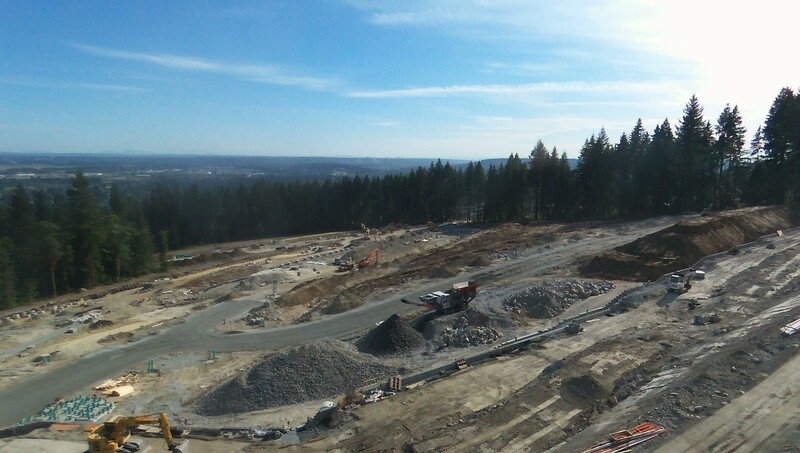 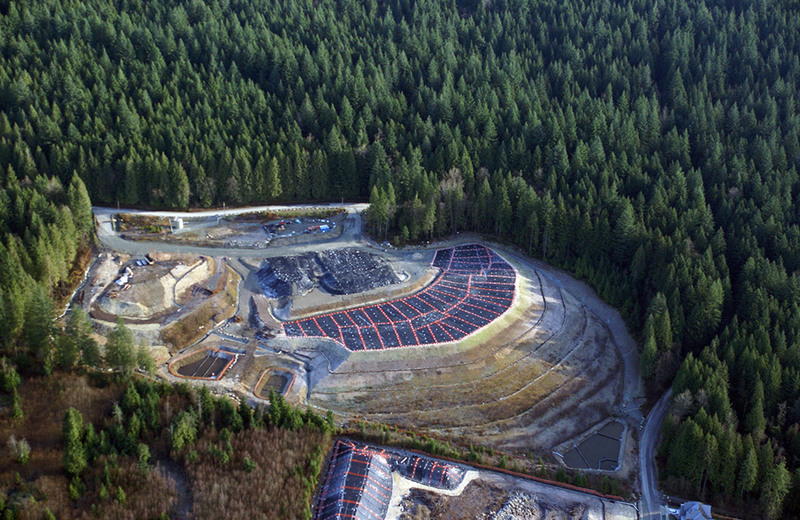 In early Spring, 2008, Gemco was awarded our first construction contract on Burke Mountain, in north Coquitlam. 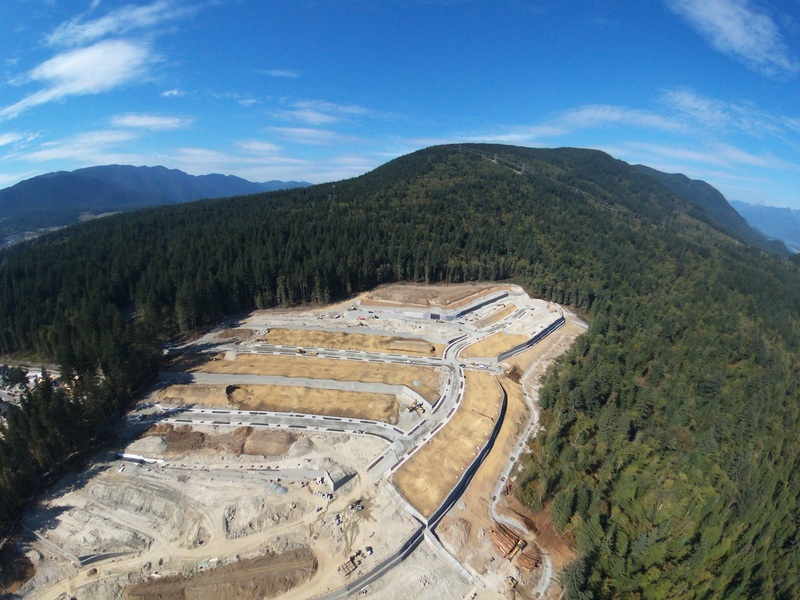 The project, for the City of Coquitlam, was for installation of trunk sewers through Leigh Park, located near Roxton Ave. & Toronto St.
By December 2017, Gemco completed 40 projects on Burke Mountain, with a total value of nearly $90 million. 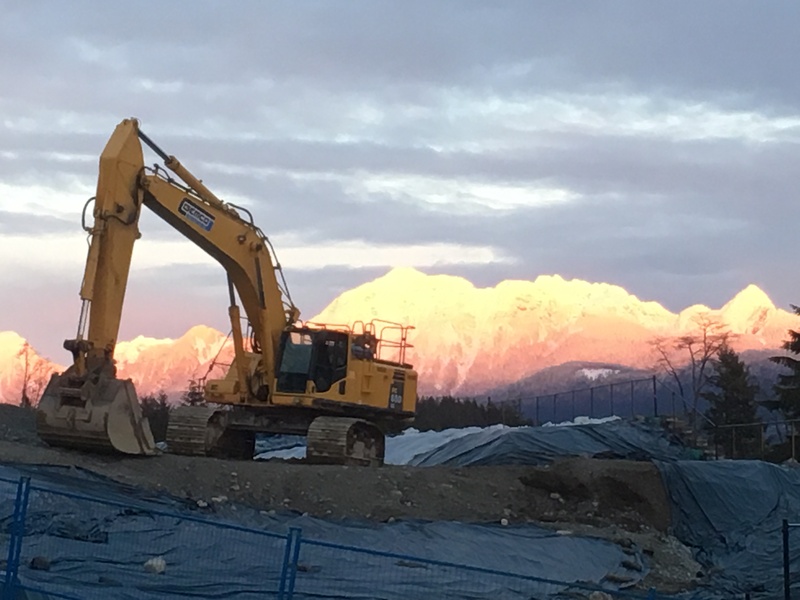 Over half of these projects and 2/3 of the volume was performed for our most significant customer, Wesbild Holdings Ltd., mostly in the Smiling Creek and Partington Creek neighbourhoods. 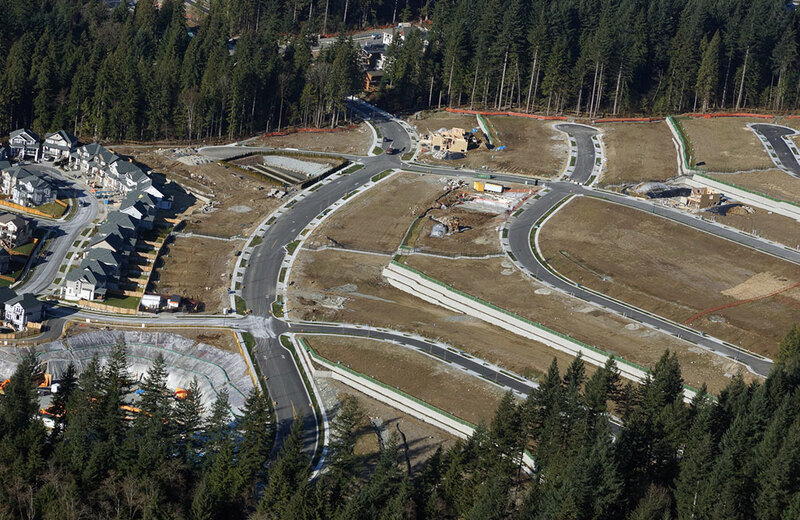 Gemco also constructed several creek crossings and road projects for the City of Coquitlam, as well as residential developments for Polygon, Mosaic, Morningstar and other prominent land developers. 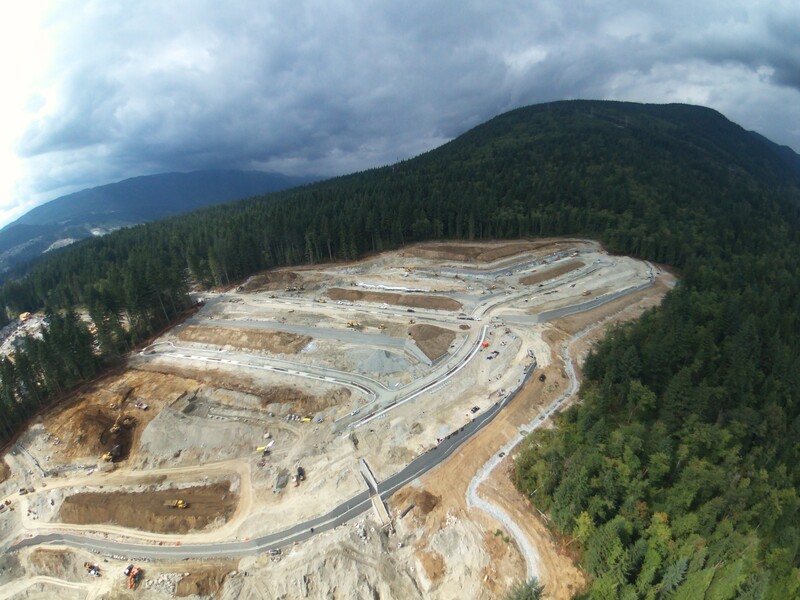 Several of our project sites had existing grades between 10% and 25%. 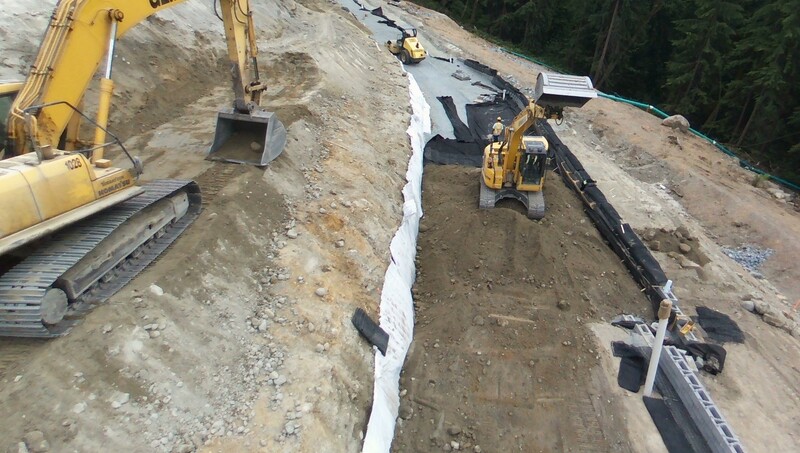 Temporary haul roads were constructed at grades suitable for highway trucks hauling offsite, and for delivery of pipe, gravel, and other materials. 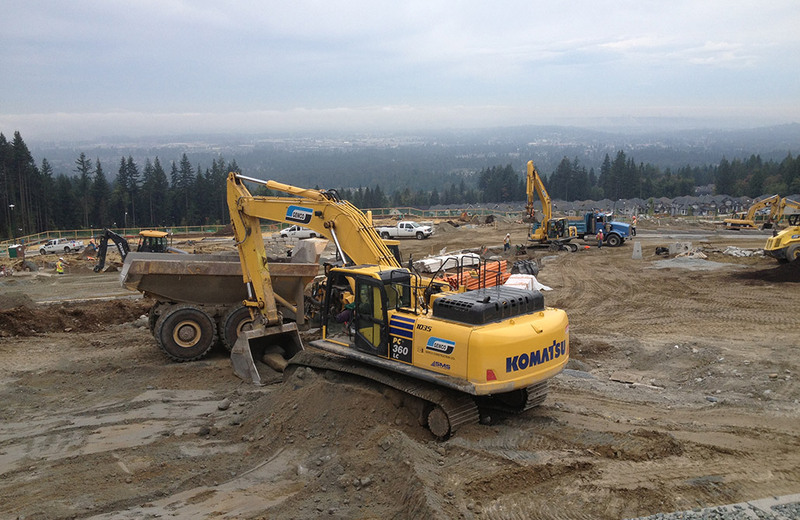 Almost every project required construction of several retaining walls and large excavation/fill volumes. 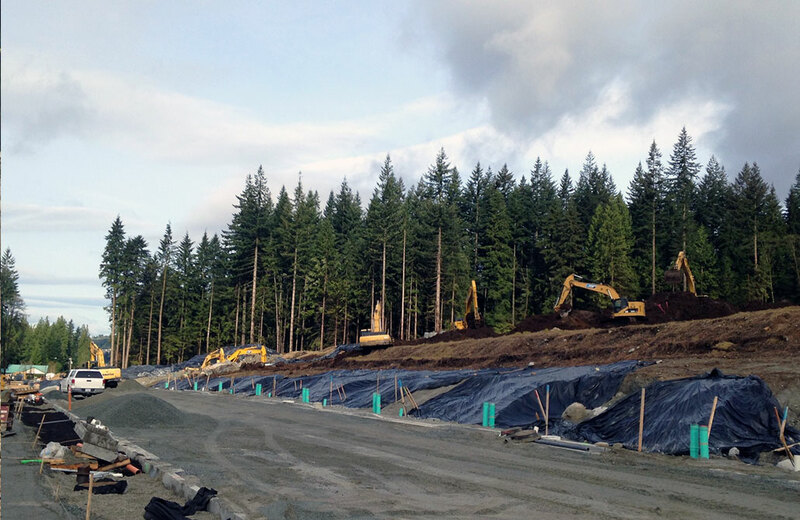 Many of our projects are adjacent to protected creeks and their tributaries which are under the watchful eyes of the Ministry of Environment, City of Coquitlam, and local-stream keeping societies. 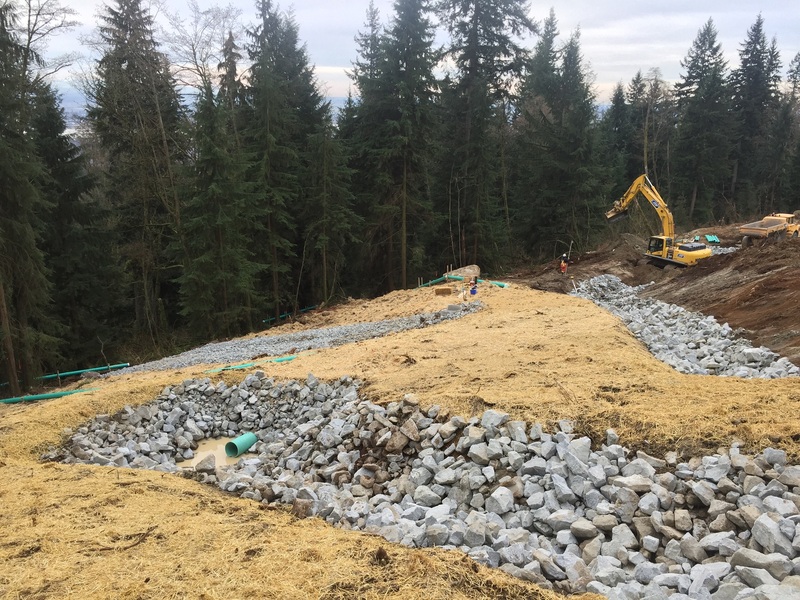 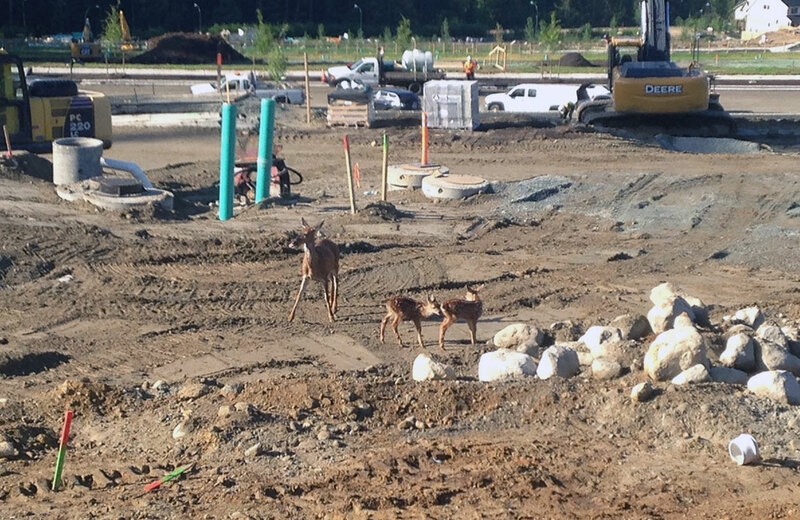 Sediment control was of paramount importance, not only when the creek crossings were installed, but also during earthworks and utility installation to ensure The City of Coquitlam’s strict environmental standards were maintained. 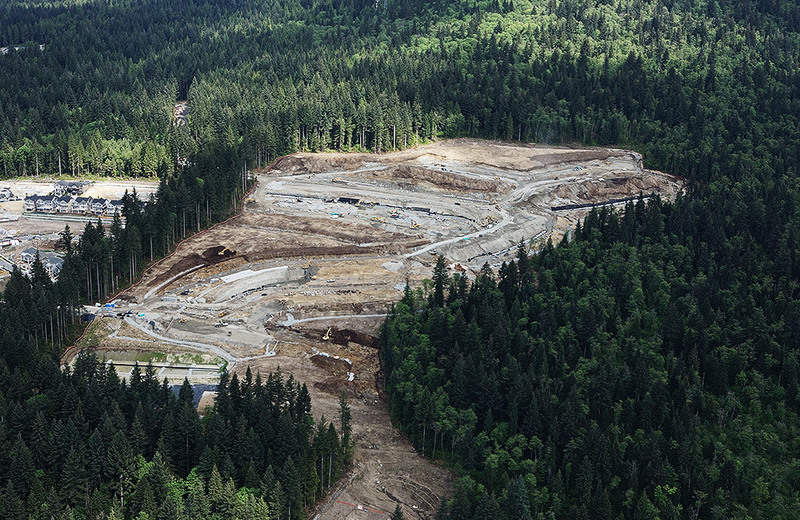 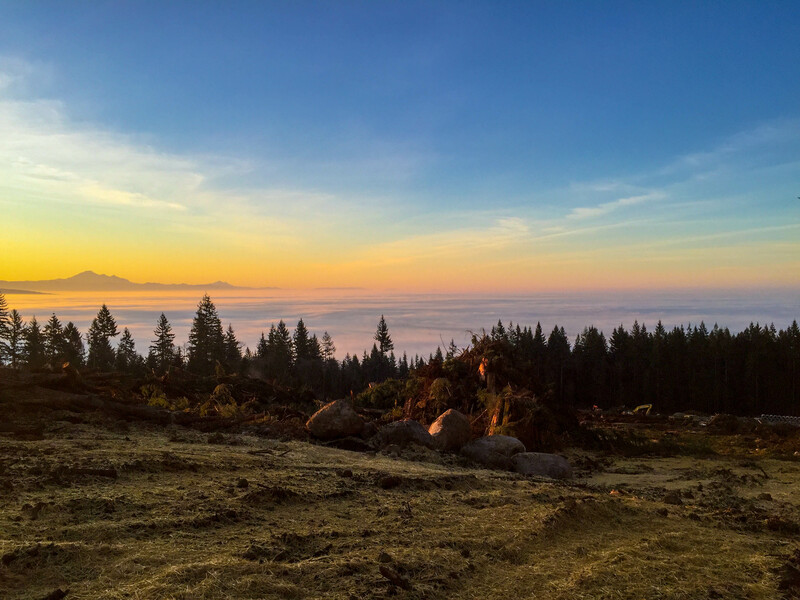 Much of the mountain is overlain by 1.0-1.2m of forest litter and loose topsoil, which was trucked to off-site disposal sites. 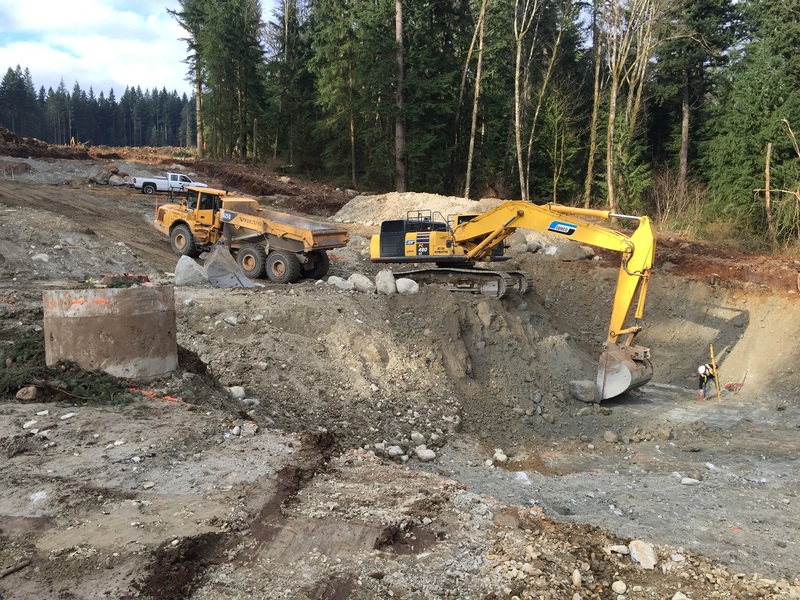 Getting the overburden to the trucks was challenging due to the steep grades. 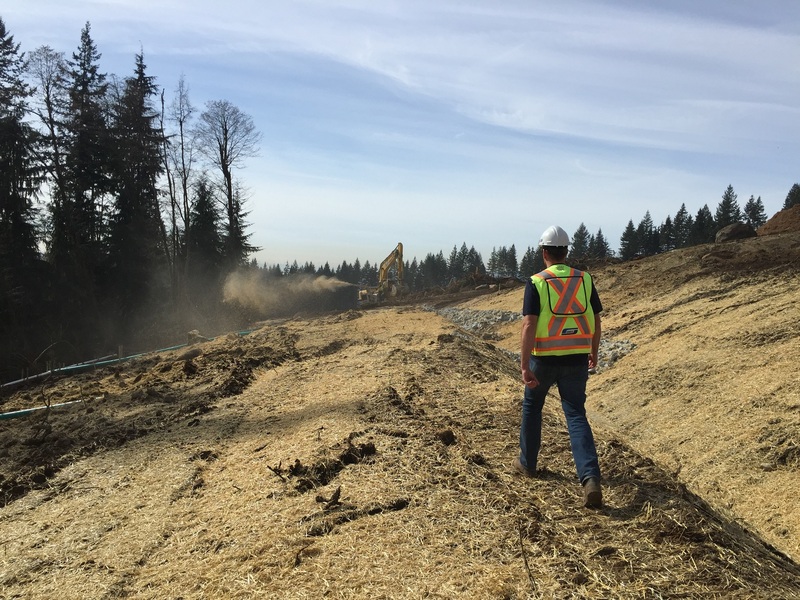 Some material was first hauled onsite in off-road trucks, some double-cast to stockpiles, then all was reloaded into trucks and trailers which had to travel through existing neighbourhoods before reaching the highway leading to the disposal site. 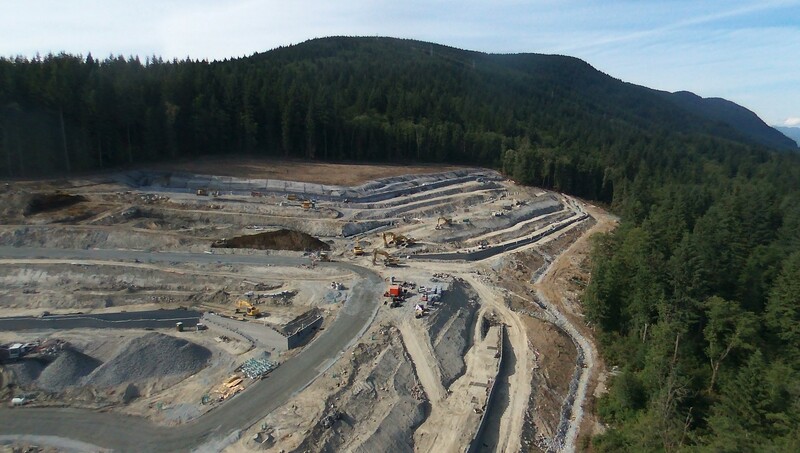 Underlying the organic layer is glacial till which was excavated and reused as embankment and trench fill. 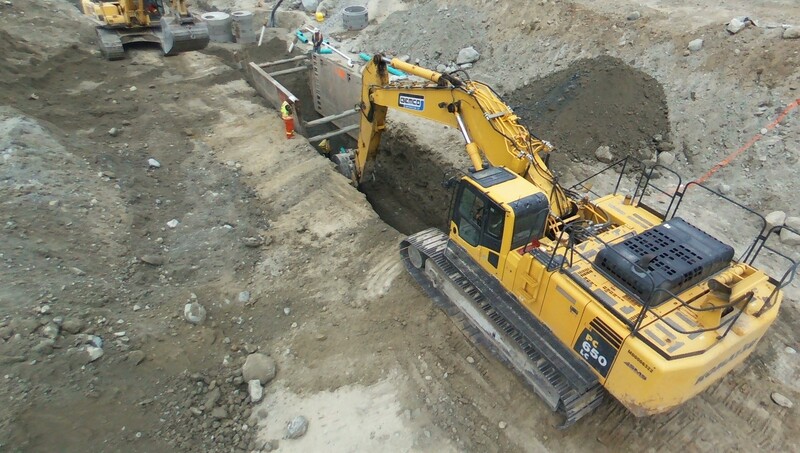 The material is very moisture sensitive so extra attention was required to ensure it was placed at optimum moisture levels. 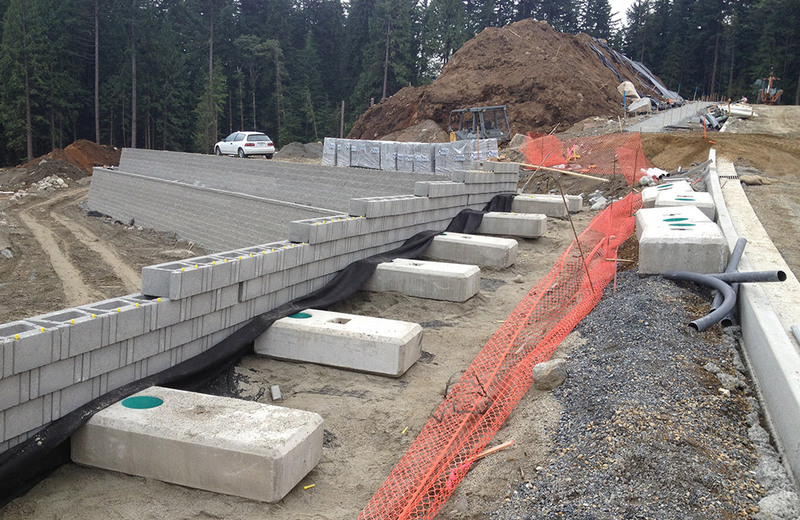 Fills could not be placed in inclement weather, and stockpiles had to be protected from rain. 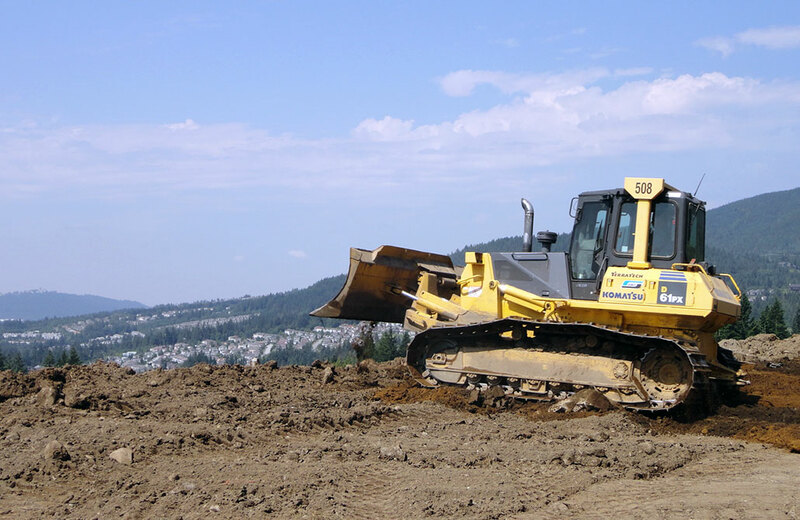 Placing and compaction could only be done in warm, dry, weather. 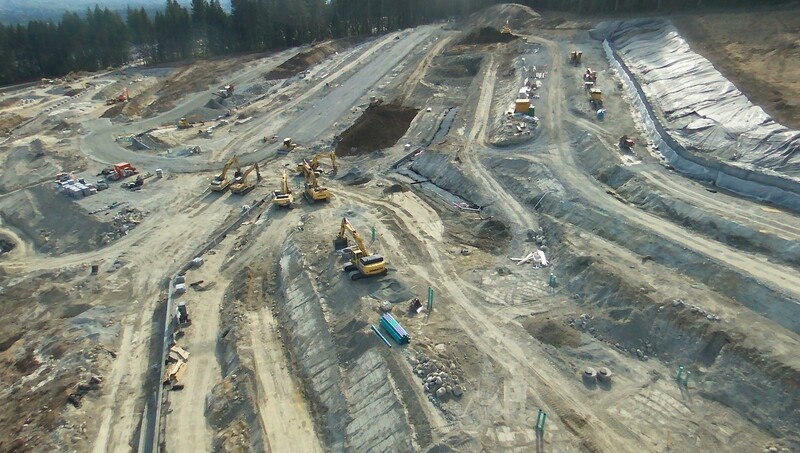 Once placed, the fills are highly susceptible to erosion. 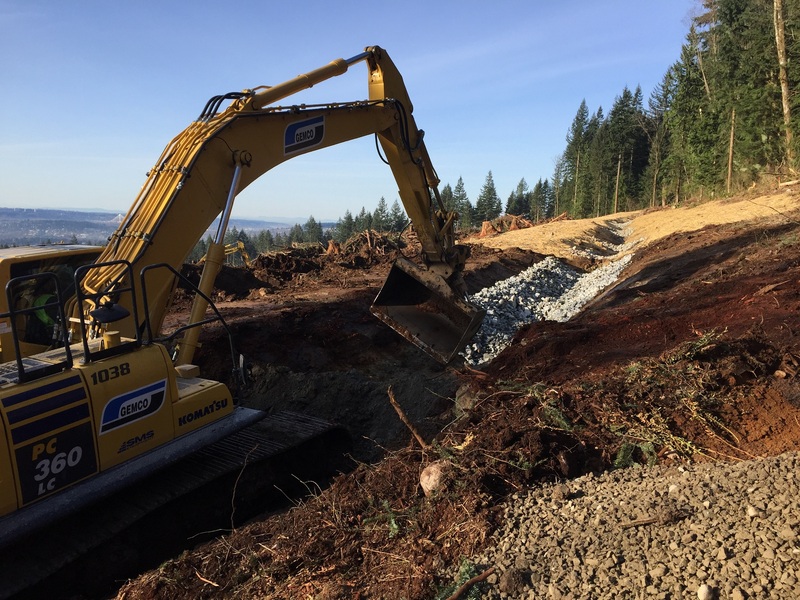 Gemco worked diligently with the environment consultants in the design and implementation of erosion and sediment control systems. 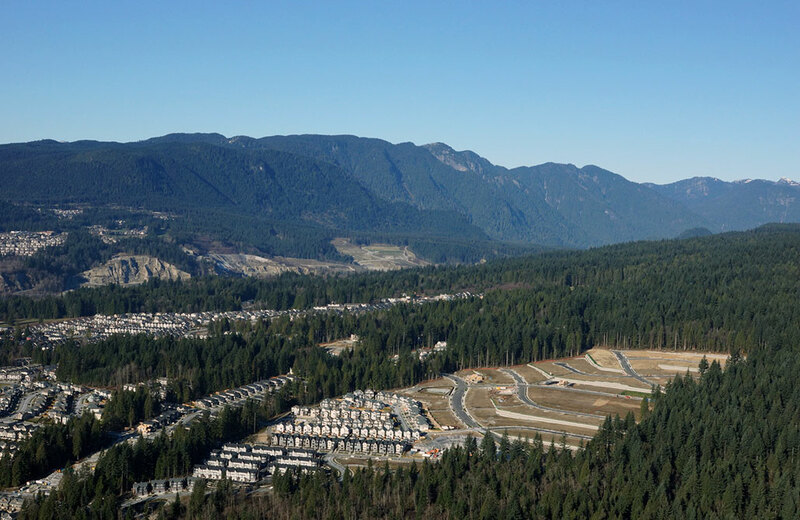 Burke Mountain experiences significantly more rainfall than neighbouring areas. 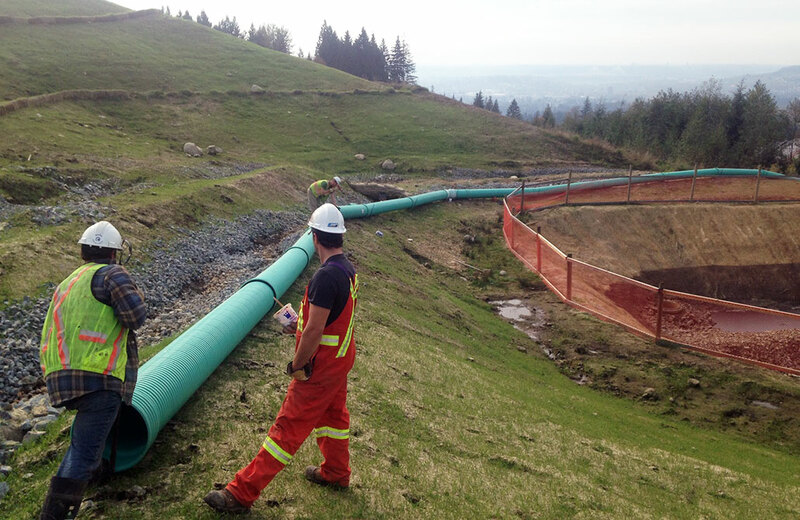 Single events of up to 100mm of rain in 24 hours are not uncommon or unexpected. 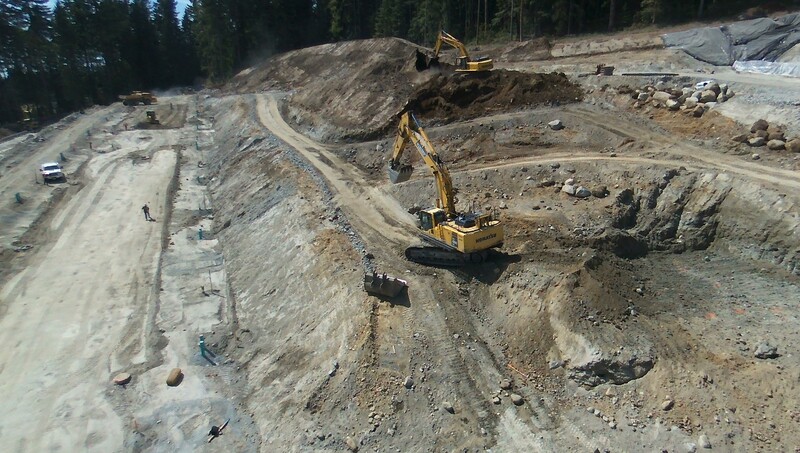 Controlling the surface flows is imperative to prevent erosion of slopes and introducing sediment laden water into nearby creeks and streams. 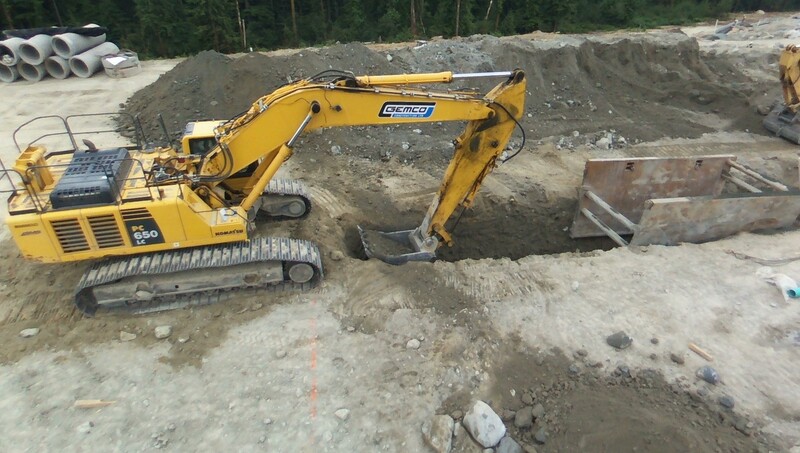 Every project constructed included extensive ESC systems. 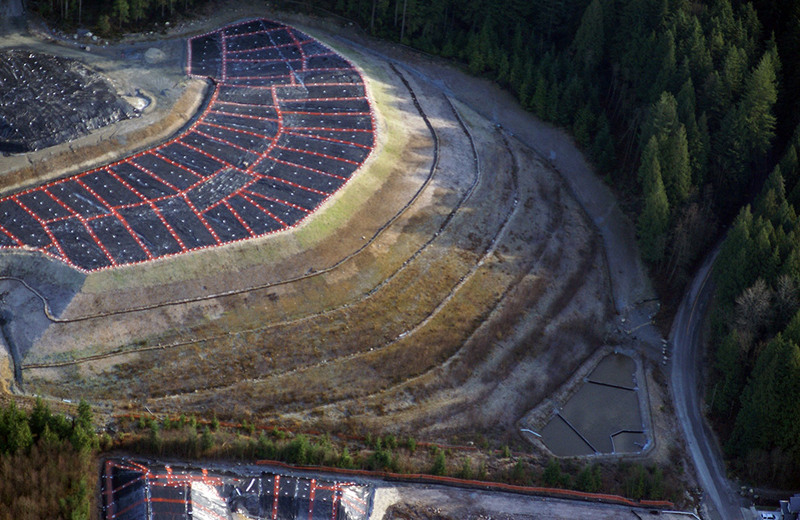 Large sediment ponds, rock-lined swales, and several embankment protection systems were constructed. 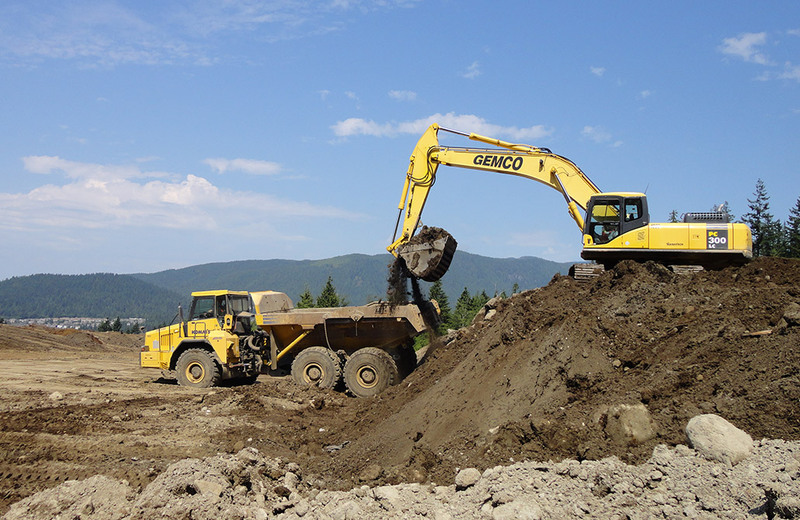 In addition, Gemco personnel worked closely with the engineering and environmental consultant to develop and implement innovative construction methods and best management practices to meet the environmental standards while keeping the projects on schedule.